At Pimlico Painters and Decorators we are always looking for experienced tradesmen, with City & Guilds or extensive relevant experience. 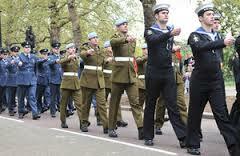 We actively employ and recruit ex service personnel. 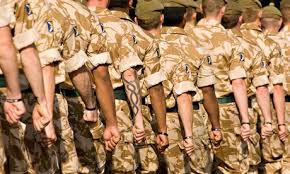 Currently over 50% of our work force are ex service personnel. We work with the government agency CTP, VETS (Veterans Employment Transition Support), Poppy Factory and specialist ex forces recruitment agency’s. Pimlico Painters and Decorators recognises and builds on the talent that ex service personnel have to offer the wider civilian labour market. Service leavers bring experience, discipline, motivation amongst other qualities to our team of Painters and Decorators that drives our business forward, and meets the high quality workmanship we provide to clients. If you are interested in finding out more about working with us, please get in touch by filling in the Enquiry form opposite.